Good news to us Sun Broadband subscribers! 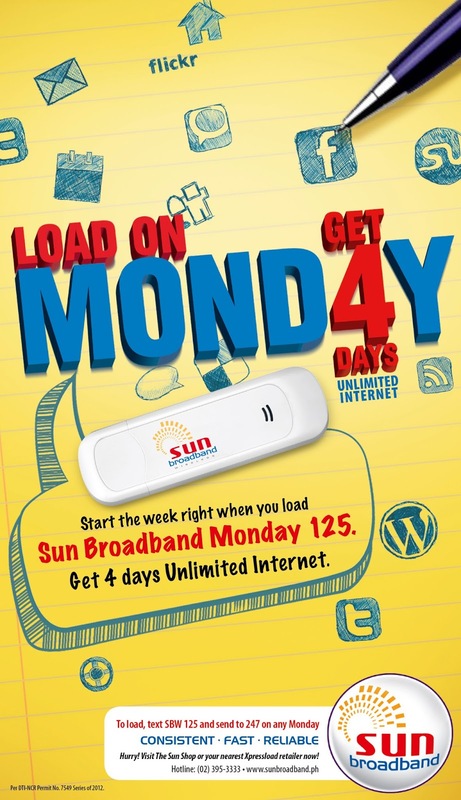 Get 4 days of unlimited internet with Sun Broadband Monday 125. Just convert your P125 regular load every Monday and get unlimited internet until Thursday.